Oral language is one of first steps towards learning to read and write. Oral language is developed by introducing and using vocabulary that the child does not already know or use frequently. This is accomplished by thinking about the vocabulary we use with children and how we explain unfamiliar vocabulary. Restating childrens’ speech using more sophisticated vocabulary will also help develop oral language. Oral language provides the foundation for all communication, and the vocabulary students begin school with predicts their later decoding and comprehension performance. 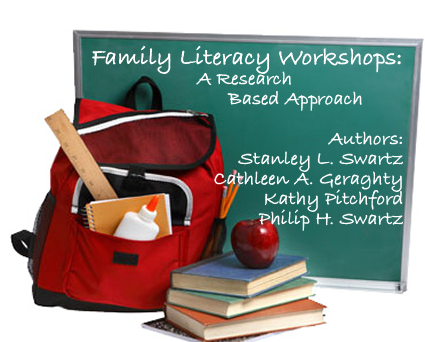 Click here to download the activities and agenda associated with this workshop, in both English and Spanish. In order to access the site you will need the last four digits of the book's ISBN number and the last word on page 129. This activity will help increase conversation between family members with regard to family history. This activity addresses Listening and Speaking Strategies, and Speaking Applications by modeling storytelling that is based on personal experience. This activity addresses Reading Comprehension, and Listening and Speaking Strategies by using recipes to engage and promote conversations. This activity addresses Listening and Speaking Strategies, Written and Oral English Language Conventions, Writing Strategies, and Writing Applications by modeling and encouraging group storytelling as each person adds a unique part of the story. 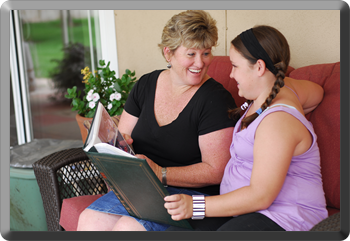 This activity addresses Listening and Speaking Strategies, Speaking Applications, and Written and Oral English Language Conventions by having children talk with and interview relatives about family history.